When Kate Middleton walks down the aisle tomorrow at Westminster Abbey to marry Prince William, two billion people worldwide are expected to tune in to witness probably the most important Royal Wedding since that of Prince Charles and Diana many moons ago. The Royal Wedding frenzy has been making news headlines ever since the couple announced plans to get married back in October. Since then, there has not been a single outlet that has not reported details of the wedding – be it the details of the service itself, the type of dress Kate will wear or the amount of money it’s going to cost the UK. 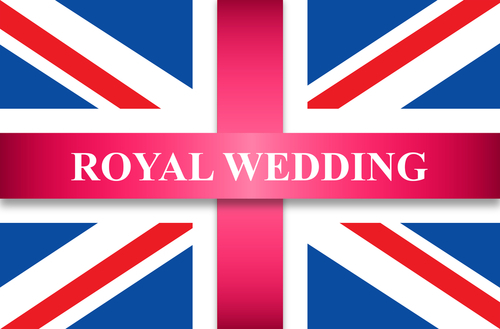 With so much interest in the Royal Wedding, unsurprisingly, the bad guys have latched on to the wedding theme for rogue anti-virus scams and a lot of other nasty stuff. Although many in the UK will be enjoying an extra bank holiday, millions of people around the world will be following proceedings on TV but also on the internet, via Facebook, Twitter and all the other media sources out there. This is fertile ground for malware creators to push their scams and make the most of people searching for terms related to the nuptials (eg. Kate’s dress designer). A quick search and you’re most likely to find some poisoned links among the results. Click here for a collection of Royal Wedding fakeouts. So if you plan on following tomorrow’s wedding online, a word of warning: be careful what you search for and which links you click on – and do beware of those sites offering videos of the happy couple. If you want to see Kate and Will, tune into a reputable news service and stick to official sites. Although most UK business will be enjoying the bank holiday, it is business as usual in other countries and you can bet your last dime that employees will be itching to see what’s going on. US-based companies will miss most of the fun (it being early morning for them), so they’ll want to catch up with all the news and gossip when they get to the office. And here the problems begin. IT admins should be on the lookout tomorrow for any excessive hikes in bandwidth consumption as live and recorded streams of the nuptials will be in great demand. Employees will also be carrying out a lot of searches for wedding-related themes so there’s a great risk of someone unwittingly downloading material you’d preferably not have running around your network. This brings me to the theme of internet monitoring and internet security in general. It would be interesting to see how many organizations are actually tightening their security controls tomorrow and early next week and whether such a big event causes them any productivity or problems. We all know that employees spend some time on the net browsing non work-related stuff but with Kate and Will’s wedding being a worldwide news item, there is a risk that employees will be tempted to spend somewhat more time checking things out. UK businesses will not be affected tomorrow but what about when employees return to the office on Monday? The not-always-obvious solution is to use web security and internet monitoring software. With a few clicks, an organization can restrict access to site categories and file types and even set parameters when access is possible. On the occasion of a Royal Wedding, some organizations may allow access for the duration of the wedding and encourage employees to work through their break instead. The point is that big events like tomorrow’s wedding, the world cup and celebrity events, have an cost impact on the business – employees tend to cylerslack thus affecting productivity; bandwidth consumption increases creating bottlenecks that could affect critical business systems and, finally, the risk of malware finding its way into the network. More and more companies are adopting web filtering and security solutions. Will the Royal Wedding prove to be an eye-opener for those that do not? If you’re thinking about what I’ve written above, it may be something worth going down on your knees for and proposing internet monitoring software to management! The death of Michael Jackson almost crashed the Internet, let’s see if the royal wedding will surpass it. I wonder how much bandwidth will be wasted on this! Admins probably won’t have another choice but to restrict Internet usage – just imagine how stupid it is to be unable to work because the Internet connection is slow due to all your co-workers, who are watching the wedding or performing wedding-related searches! Well, this waned down so soon. I expected a lot of bangs and booms from the Internet’s bad guys but I never got a single email, phish, scare, scam, and call from them. I’ve also researched the web and viewed some online forums – but nothing. I wonder why? Does this mean that this event was never expected to be that big? Perhaps. But at least, the royal wedding did not do some damage. Quite naturally, the wedding hysteria peaked around the wedding but since the interest in the Royal couple and their whereabouts seems to be an everlasting one, I guess there are many more Royal Wedding themed scans for us to see in the future.